Take a trip back in time, and listen to some of the work of Mike Clarke. 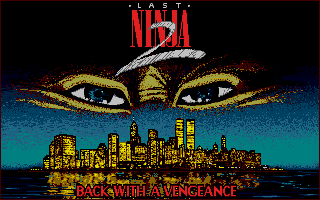 Game music from ‘The Last Ninja 2 – Back with a Vengeance’. Game made by Consult Software and was released in 1990 by System 3. This entry was posted in game and tagged consult software, mike clarke, music amiga, system 3, the last ninja 2 by Thomas. Bookmark the permalink.